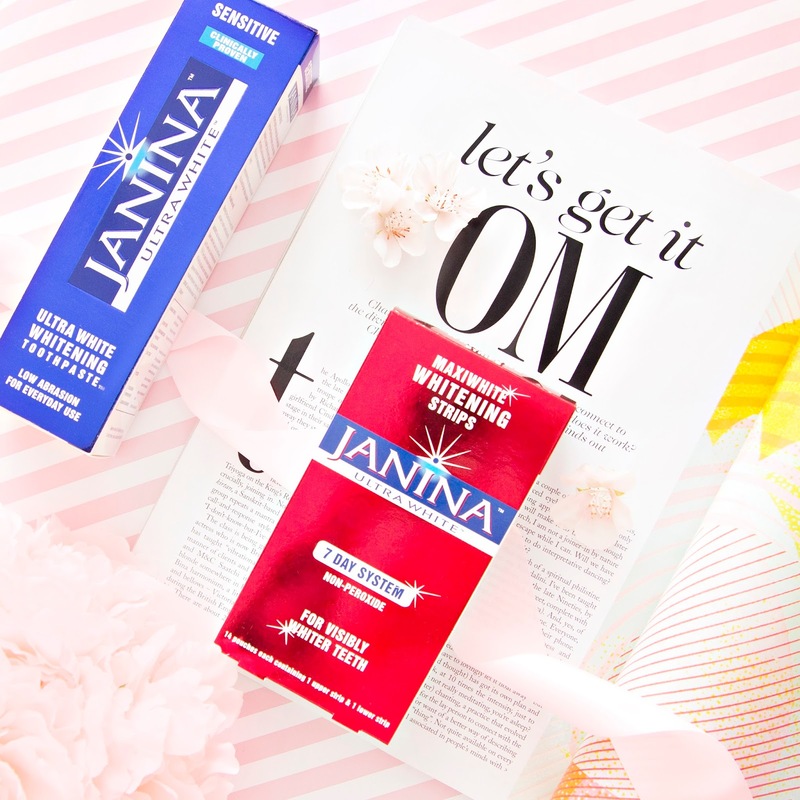 I’ve seen a lot of hype surrounding Janina Ultra White teeth whitening products recently, so when they offered me the chance to try some of their range for National Smile Month (15th of May - 15th of June) I jumped at the opportunity! 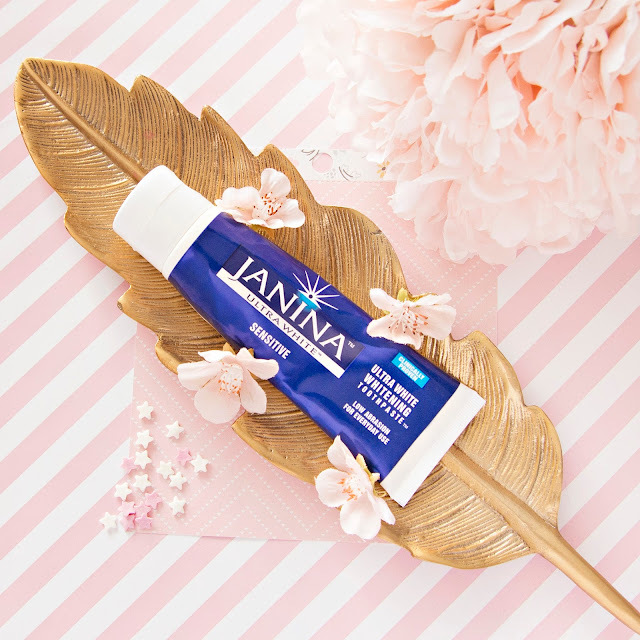 As Janina products use natural fruit enzymes they are supposed to be much gentler than other whitening products on the market, so I was intrigued to see how the results would compare. I’ve been trialling the Ultra White Sensitive Toothpaste and Whitening Maxi Strips, here’s how I got on. My teeth are super sensitive (I can’t even drink cold water without cringing!) So I was really excited to try the Sensitive Whitening toothpaste, which aims to whiten teeth whilst also reducing sensitivity. 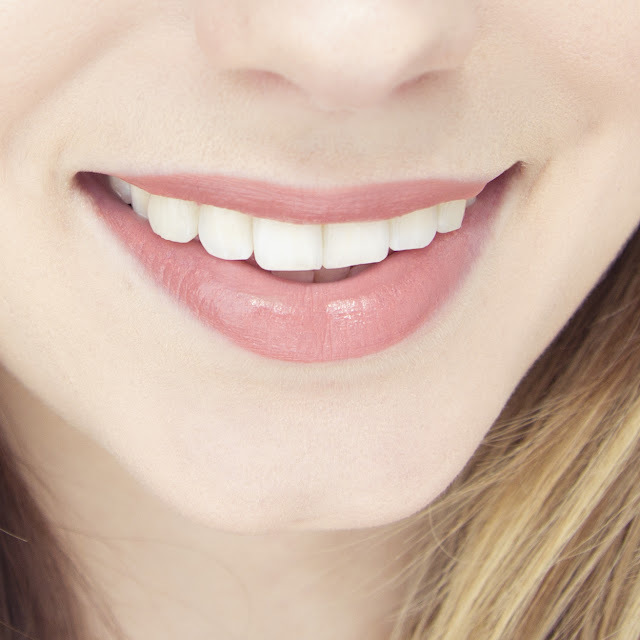 I began using the toothpaste alone, because I wanted to see how it would perform without the aid of the whitening strips, and I was really impressed! As someone who has never smoked or drank coffee, my teeth aren't badly stained anyway, but I found that this toothpaste started to make my teeth appear brighter and less yellow after just a few days of use (morning and night). The taste is super minty but not unpleasant, it didn't hurt my gums at all, which is a problem I've had with other whitening toothpastes (including Oral B). I don't think that this has reduced my sensitivity unfortunately, but as a whitening toothpaste it's definitely one of the best I've tried. After about a week of using the toothpaste alone I introduced the whitening strips. It says on the packet to use twice a day for 7 days, and to leave them on for half an hour, but as I work full-time I decided to use them over 2 weeks instead. In the past I would use Crests 3D White Strips frequently, but I found that they were actually making my teeth feel soft and super sensitive, so I was a little anxious to try these, however I'm happy to say that didn't experience any negative side effects at all! The main problem I had with these strips is the lack of stickiness, the mint flavoured "glue" kept sliding around on my lower teeth, so I was constantly aware that they might slip off, unlike the Crest equivalents which I would actually struggle to remove. I'm also not a big fan of the sticky film that they leave on your teeth, but luckily its easily removed by gently brushing with a toothbrush. However, I honestly cant fault the results! After a couple of uses my teeth were gleaming, not in a Simon Cowell false way, they just looked really bright and healthy! I did find that my front teeth whitened more quickly than the others (you can kind of see that in the photo below) so now I am using just the toothpaste and focusing it on the duller teeth to ensure they are all the same shade. Overall I would highly recommend Janina Ultra White products if you are someone who has been considering paying for cosmetic whitening. The Toothpaste costs £11.50 for a 75ml tube, and the strips are £20 for 14, which is really affordable considering I was prepared to pay my local surgery £100 for whitening, which probably would have been far more damaging to my teeth! Have you been tempted to try at home whitening?